Here at Reef Savers we only source the best Marine Fish and Coral from sustainable sources around Australia. Cairns' only complete aquarium store, located at 294 Severin St and www.cairnsaquariums.com.au We stock a complete range of Tropical Marine, Tropical Freshwater, African & American Cichlids as well as Goldfish, Tanks, Complete Aquariums, Corporate Rentals, Accessories, Food and much more! All livestock orders are oxygen packed and courier delivered to your door within 24 hours of dispatch. At 'Guppy’s Aquarium Products Online' we are specialised in online sales of aquarium products at incredibly low prices! Guppy's offers a large range of Aquarium Pet and Reptile products at great prices. Livefish.com.au - Live Aquarium Fish Online! All fish and plants are covered by our 100% guarantee. Live Fish Plants Gift Certificates Fish Food Accessories tropical fish, aquarium fish for sale, aquarium shop australia, buy fish online, guppies, guppy, platies, platy, rainbows, swordtails, perch, barcoo grunter, crayfish, saratoga, danio, zebra danio, fish food, tropical fish, aquarium shops, aquarium fish for sale, supplies, fish tanks, australia, plants, aquarium plants, gift vouchers, aquarium products, fish tank, fish packages, online shopping, saltwater, delivery, freshwater, buying fish, online aquarium shop, aquarium fish wholesale, native aquarium fish, HBH, online aquarium supplies Live Aquarium Fish delivered to your door! Peninsula Pet Supplies is your ultimate online pet superstore! We stock an extensive range of quality brand pet supplies at affordable prices! One of the many benefits of shopping with us is that the business is owned and operated by a qualified and experienced veterinary nurse who can give pet care advice and product recommendations to suit your pets individual needs. Visit our online store and click on the icon for free pet care or product advice. Online Aquarium Store. Specialists in Marine Aquariums. Aquarium Plants Delivered To Your Door. We have a large variety of Aquatic Plants, Planted Driftwood, Planted Feature Rocks and Tank Collections for customers that aren't sure of what they want. Spend $200 or more and receive free shipping. Anything you need to keep your little swimmers happy! Aquathrive Powergrow lighting series. Make your plants come alive. Aquarium Light Globes, Aquarium Lighting, Bird Cages & Aviaries. Live fish, fish, cichlids, apistogramma, shrimp, pond, aquatic, waterlily, betta, API, seachem, NLS, New Life Spectrum, Fluval, Eheim, Argent, maintenance. Come visit our online store at www.sairzaquariums.com.au Your Fish Will Love You For It! Dont miss out on sales as stock wont last long. New stock and sales every week! Online supplier of aquarium food and accessories to maintain your aquarium at its peak. We stock a range of catfish L-numbers bristlenose plecos as well as the usual range of tropical fish. LIve coral, fish and equipment. Fish tank aquariums streight from the top manufacturers to your front door. We specialize in aquarium kits and offer free shipping on all out tanks. So, if you need a 2 gallon tank for your 5 year old or a 60 gallon showpiece tank weve got you covered and with our low-price promise we can't be beaten. Welcome to SaltySupply.com, the Saltwater Aquarium Aficionado resource designed and operated by hobbyist for hobbyist. As you shop with SaltySupply.com, you will learn that we provide the most serious products to satisfy the most serious aquarium enthusiast at the most competitive prices, with the utmost level of personal service, and with the highest level of online security. Guaranteed lowest price! At Salty Supply we guarantee our low prices. If you find a lower price online, simply contact us and we will do our best to match or beat the other price. Were confident that you'll find this offer to be the best price-match guarantee in the industry. Shop with confidence! SaltySupply.com is Volusion SSL secured with 128 bit secure encryption. Every transaction is guaranteed 100% safe. It wasn't hard falling in love with my 1st aquarium. 10 years old, 20 gallons of H2O, and a few fish, and I was hooked for life. It wasn't until college that I began my 1st saltwater aquarium setup, but when I did, it opened up a whole new world of wonder. As my appreciation for the animals grew, so did my level of respect for appropriate measures to ensure the greatest quality of health for my at home reef and the worlds natural reefs. It is for this reason that I founded SaltySupply. We strongly support a zero impact to natural reefs policy, and we stand by our call to ensure the long-lasting survival of these beautiful yet fragile natural ecosystems. I ask that you hold your saltwater aquarium suppliers and to a high standard of respect for this fragility, and hold yourself and fellow hobbyist to a high standard of proper animal husbandry. As President and CEO of SaltySupply.com, I thank you for your interest in our company and wish you the best in your saltwater aquarium experience. We welcome you to our online store with open arms and we want your complete satisfaction. If you are EVER unsatisfied with your order please contact us and we will go beyond what it takes to make you satisfied. reef octopus, nextreef,tunze, ecotechmarine, aquamedic, API, seachem, brightwell aquatics and hundreds more. LA Reefs is a reef shop that specializes in live coral, macroalgae and other marine livestock for reef aquariums. TSCpets.com is an online pet store of fish supplies and aquarium supplies, including aquarium decors, koi food, medications, lighting equipment, and more. ColoredSands.com is your online Aquatic Supply Shop for all Aquarium Sand, Rock, Substrate & Gravel. We are the Premium Online Wholesale Supplier of Aquarium Sand, Decorative Rock & Gravel. Use our products to anchor your ornaments or create a unique landscape for your Saltwater or Freshwater Aquarium! We will exceed all of your Aquatic Substrate & Aquarium Sand needs. We sell pet products for fish,birds,cats,dogs, and small animals. Online marine fish and coral store, delivering top quality marine livestock to your door or local airport at unbeatable prices. At Marine Fish Online, we supply the best possible products at very competitive prices! we only sell the best possible fish, coral and invertabrates with the most vibrant colours to our customers. Marine Fish Online offers a huge range of fish, from angelfish and clownfish to sharks and rays, as well as a large selection of invertebrates, corals, clams, live rock and rare and collectors' fish! Our rare fish are caught overseas in areas like the Red Sea, Caribbean Islands, Hawiiai, Pacific Islands and even in our very own backyard The Great Barrier Reef. Marine Fish Online also stocks Seachem products! Seachem Products are the leading brand in the field of Aquariums. There products are easy to use and can be bought it bulk form in both liquids and powder. Online aquarium store. Large range of fish tanks and accessories.Goldfish. tropical fish, cichlids and marine fish. Online Aquarium Supplies is a one stop online shop with large range of products. We deliver Australia wide to your door which includes Fresh and Marine water fish, Tanks, Ponds etc..
Tetra Fish Fuel Co tropical marine Aquariums ponds plants aquatic. Blue Planet Sera Seachem Eheim Aquatopia Hailea Tunze ADA Neptune Systems Fluval Hagen Exo Terra Marina Zoo Med Ocean Free Aqua Zonic Red Sea and more. Pet & Aquarium. Stockists of Aqua Master. Open 7 days. We offer sound advice and knowledge on Tropicals, Cichlids and Goldfish. Australian made tanks, stands and hoods with a 2 year waranty on workmanship. Accessories, filters, plants and much more. Come and see us. You wont be disappointed. Complete aquariums, tanks, fish and accessories. The Red devil cichlid is an energetic and aggressive Central American cichlid that will add beauty as well as action to your aquarium. We have a complete range of Goldfish, Koi and Tropical fish from Guppies to Siamese Fighting fish and Blackknife fish to Discus, Marine fish [ Nemo's ] and if we do not have it, we will do our best to source it for you. Ofcourse we also have all afull range of accessories. Our slogan is "Your Aquarium Specialist". We have a large retail premises at Taren Point, Sydney that provides you with an extensive and exciting range of aquariums, fish, food, accessories and chemicals catering for both the marine and freshwater hobbiest. We have goldfish to reef sharks! Our knowledgeable staff have years of experience and can assist you get the maximum enjoyment out of your aquarium. Our staff are hobbiests just like you. Majestic Aquariums can tailor make a tank to your specifications. From a small tank to a huge tank for restaurants and commercial premises, we have done them all. Contact our experienced staff for advice. Maintenance We can arrange maintenance on our aquarium. Just relax and enjoy your aquarium and let us maintain it for you. Puppies, kittens, fish, birds, reptiles, guinea pigs, rats, mice & hermit crabs plus a huge range of accessories for all your pet companion's needs. Worth the visit! Accredited by the Pet Industry Association of Australia. Sydney's best advice, range and service. Stock coldwater, tropical, koi, african cichlids, & marine. All quality tanks, accessories, filters, pumps, heaters and food. We possess expert knowledge on coldwater, tropical and marine aquariums. We also stock a large range of quality equipment and accessories. Our specialisation is in the supply and maintenance of aquariums to commercial and corporate entities. Open 7 days. For sound aquarium advice. Goldfish, Tropical, Cichlids, Marine Fish & Invertebrates. Tanks * Accessories * Plants & Pumps and lots more! Specialising in all types of Fish, Accessories, Tank, and Stands. For all your Aquarium needs. Pond Cleaning and Tank Maintenance available. Everything Aquarium in reservoir VIC. We welcome your visit. Our expert staff can assist you in setting up your first fish tank or with advanced fish keeping advice. We stock a wide range of aquarium fish including Marine fish, Tropical fresh water fish, Cichlids, Goldfish including exotic Panda and others. Aquarium Supermarket & Aquarium Society of Vic Inc.
Livefish.com.au - Live Aquarium Fish Delivered to your door! One of the oldest aquarium stores in Sydney. Best known for a wide range of and expertise in Australian native fish. Also supplying other fish types: goldfish, tropicals, cichlids. Driftwood, rocks and other decorations. Broad range of spare parts for most popular brands. Australian natives, cichlids, goldfish, Fluval, Aqua One, Jebo, Resun, Wardley, OSI, HBH, Tetra, Seachem, API, Dalbarb lights and tanks. We have a huge range of pets in store including puppies, kittens, rabbits, guinea pigs, chickens, birds, tropical fish, goldfish, cold water fish, native fish, cichlids, aquarium snails, rats, mice, ferrets, hermit crabs and now reptiles and amphibians as well as live food and aquarium plants. We also stock a full range of accessories for your pets. Tropical & Marine fish, cichlids, & natives. All things fish! Crn Toorbul & Foster St. Bongaree, Bribie Island. River to Reef Aquariums River to Reef Aquariums Goldfish Tropical fish Marine fish Corals and live rock Marine and freshwater filtration Turtles We also stock an extensive range of dry goods, including products from Seachem, Sera, Eheim, Teco, Dupla, Jager, Hikari and Aqua Medic. "Its worth the trip to Gladstone"
Servicing Central Qld and the Islands. live fish, live food, marine, reptiles, insects, lizards, spiders, turtles, frogs. Essendon aquarium offer a large variety of fish and aquarium products. We also maintain aquariums for the business of home. - 90 tanks on display for your enjoyment. - Developed a reputation in the local community as a provider of the finest quality tropical and marine fish, plants, corals and aquarium supplies for the home aquariust. - Visit our web site and online store! Aquarium and Herpavarium. Sick of paying to much, so was i. Do something about it, join the revolution. 6 ft tank , cabinet and hood from $695 custom tanks, fish from all over the world. some of australias' finest reptiles. True Blue Aquariums specialise in sales, maintenance and support of Freshwater, Marine Fish and Aquariums. We offer a mobile service which includes the setup and installation of your aquarium as well as the ongoing maintenance of your aquarium. We are also able to obtain common as well as rare livestock at competitive prices for our customers! True Blue Aquariums takes the hassle out of having and running an aquarium. Our freshwater and marine specialists can help you to achieve the aquarium you have always wanted! Hailea, Tunze, Reef Octopus, Hydor, Marine Fish, Freshwater Fish, Corals, Invertebrates, Aquarium Installation, Aquarium Maintenance. We sell native, cichlid, tropical and discus fish. There are heaps of large display tanks for you to look at and dream about! While you are there say Hello to Boofhead, our giant gourami. He is over 2ft long. Gators caters for the beginner to the enthusiasts. Are you having a problem with your fish or your tank? We will to teach you how to care for your tank and fish the natural way without chemicals. Are you Bored with your fish and want a change? We will help you choose a tank and fish that are compatible with your lifestyle. We have heaps of fish and Aquarium products available. There is a Massive range of fish and plants to choose from, also a Huge range of fish foods, including frozen and live foods. Come and see our Ornaments, tanks, filters, lights, heaters, gravels. There is Plenty for everyone in the family to look at. Our staff are Friendly, our shop is air conditioned and carpeted for your comfort. There are also Gift vouchers available for the fish enthusiast in your life. Ring us or visit us for advice. You can also email us from our web-site. We are on the corner of Keidges road and Jones Road, Redbank Plains. We sell Tropical, Cichlids and Goldfish. We sell a variety of stock and products. We also sell aquariums. We have a customer loyality club membership where customers can join and get 5% off their total purchase once they have spent $10 or more in the store. At Sydney Discus World Aquariums, we specialise in supplying A-grade quality Discus, unique Ornamental Fish species, Planted Aquaria, Euro-style Aquarium Setups and mesmerising aquascaping supplies. We are the leading retailer of Discus fish in the market and are persistent on delivering value, range, quality and service to our Residential and Corporate clients. We offer a specialised service, providing expert advice to beginner or advanced aquarists alike. At SDWA, we will show you how to make your living room or office space into a place of relaxation and tranquility by the simple installation of an aquarium. We offer Custom Built Aquariums. Please contact us for a free measure and quote. With our own Quaratine Facility, we are able to stock the highest quality and most sought after fish specifies from around the globe. Additionally, with over 100 tanks, and a number of aquarium display tanks, we are certain you will be knocked off your feet! Great quality Discus, Aquarium Setups and service - what more can you ask for? Come and visit our Aquarium Gallery today! Come and visit our store and meet our friendly sales staff who will answer all your queries. We are here to help you make aquarium and pet-keeping that much easier and enjoyable! Sydney Pets and Reptile World are also located within our shop. They are a pet superstore that sell a large range of Pet supplies and cages for Dogs, Cats, Birds, Small Animals and Reptiles as well as a large range of Aquariums, Starter Kits, Freshwater and Marine Fish and premium Aquarium Supplies. aquarium store with a range of coldwater and tropical fish as well as cichlids and now stocking marine fish. Petsofoz.com Australian Online Pet Shop offers everything you need for your fish and aquarium. From filters, heaters, air pumps to medication, conditioners and foods. Petsofoz.com for all your aquarium needs. o ALGONE XP - fibre blend, absorbs nitrate & phosphate (algae food), bio inoculation, neutralizes heavy-metals. Reduces algae naturally. o SPIRUVEG BITS & FLAKE - Super food supplement. High Spirulina and 7+ vegetables. Eco produced bit food. A First ! o EARTHWORM EGG BITS & FLAKE - Super food supplement. Cooked, free of germs Eco produced bit food A First ! o PUREVEG BITS & FLAKE - No meat or fish.For algae-eating fish or mature reptiles. Eco produced bit food A First ! o COLOR BIT FOOD - High fish protein - 7 pure fish bits + 7 vege bits. Eco produced bit food A First ! All Biotec fish/reptile bit food and block products are solar eco produced. Available in good Biotec stores nation-wide. Specialising in all types of Marine, Tropical, Brackish and Freshwater fish. We stock an extensive range of plants and accessories, including filters, filter media, live, frozen and dry foods, treatments and medications, powerheads, heaters, ornaments, driftwood and rock, gravel, marine substrate and much more. Specialising in "oddball" and hard to find fish species, we receive regular shipments of tropical, freshwater and marine fish, as well as plants and live foods. Get advice from staff that have personal and professional experience in all areas of fish keeping. Betta Trading in Littlehampton in the Adelaide Hills is a retailer of Aquarium Needs and Animal Feeds. Our Website has Fish Fact Sheets and many other things. The Northern Rivers largest Marine stockist. Stocking Saltwater fish, Inverterbrates, Live Coral and Live Cured Rock. Also stocking over 80 Freshwater holding tanks, including plants. For all your aquarist needs. Tank Maintenance Live Coral and rock Saltwater Fish and Inverterbrates. Freshwater Fish and Plants. Come in and see our great range of freshwater, cold water and salt water fish plus cichlids, tropical and exotic fish, also corals and imported species. Stock up on fish food - live, frozen and dry. Choose from the best aquarium tanks and equipment, live rocks and ornaments. Aquarium equipment such as heaters, filters, pumps, lighting, reflectors, skimmers, tanks, and other aquarium furniture. We stock AquaFX, Hikari, Sera, Seachem, API, Resun, Tetra and many others. 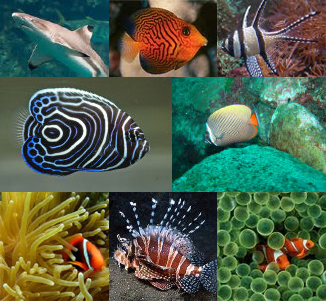 Stocking a wide range of Marine fish, Corals and Invertibrates, foods and conditioner for tyhe marine / reef environment. The Freshwater range is also extensive and includes all bio types as well as a large variety of aquatic plants. River Sea Aquariums offer an excellent collection of quality aquarium fish tanks and accessories in store and online. River Sea Aquariums are a well established aquarium shop located in Brisbane. We cater in a large range of Exotic birds, marine,tropical & cold water fish, pet supplies, customer orders and laybys. The complete Aquarium, bird and reptile shop for all your needs. Pet care is most important to us. 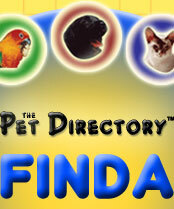 Mention The Pet Directory and get a generous 10% off! SORRY, WE ARE CLOSED We would like to take this opportunity to thank all our wonderful customers that we have had the pleasure of knowing over the last 20 years...we will miss you and wish you and your pets the best for the future. ----------------------------------------- African cichlids goldfish betta fighter fish fighters colours glass fish panda-goldfish oranda-goldfish black moores feeder-fish tropical cold water warm water aquarium fish fancy a full range of aquarium fish at your disposal with expert advice. From the basics at cost conscious budgets, to supplying specialist products and services to the connoisseur. Everything from nose to tail. For all your pet needs, plus quality advice... "Petwise has the answer!" Brisbane's best range of pet food and pet health products. Free Petwise Club and advice kiosk. Large range of aquarium tank & fish accessories. Everything from nose to tail. For all your pet needs, plus quality advice... "Petwise has the answer!" Brisbane's best range of pet food and pet health products. Free Petwise Club and advice kiosk. Large range of aquarium & fish accessories. We are family. We Care. We are the passionate pet people. Ring us NOW! The Biggest Pet Dealers in Town! We specialise in hand reared birds. Aviaries and cages of all sizes. Stockist of "Roudybush". Specialising in tropical and fresh water fish and aquariums. Wide range of pet accessories for all types of animals & pet mince. Coldwater & tropical fish. Aqua One Tanks, Tetra & Nordley fish food. Fozen fish & reptile food. Hours Monday - Friday, 9.15 - 5.30, Sat 9 - 1.30 Department Store for Pets, including fresh meat sales & a full range of dry foods. We now have a display marine tank and 11 selling tanks. We have a wide range of fish, including Damsels, Angels, Butterflies, Eels, Gobies, Blennies and many others. We also stock a wide range of corals and anemonies. We also try and obtain most fish that are requested. We have a good selection of Discus and obtain these fish from an award winning Discus breeder in Brisbane. We offer a wide range of small to medium African and American cichlids. With a big display tank in store. We have a wide selection of tropical fish from Angels, Silver Dollars, Silver Sharks, Tetras of many varieties, Swordtails, Platies, Mollies, Guppies, Gourami varieties and many more. Again we will try and obtain any fish that you maybe after. Cold water fish are available as well. The usual Goldfish varieties as well as fancy varieties, Koi, Perch, Mosquito eating fish and Australian Natives. Enquiries welcome. Call now on (07) 5476 8570. Aquarium, Bird and Reptile Specialist. For all your aquarium needs. We specialise in Cichlids & Community Fish. Enjoy a visit to Everything Aquarium in reservoir VIC. We welcome your visit. Our expert staff can assist you in setting up your first fish tank or with advanced fish keeping advice. We stock a wide range of aquarium fish including Marine fish, Tropical fresh water fish, Cichlids, Goldfish including exotic Panda and others. Come in for a look! We have a wonderful range of aquarium fish on display and all aquarium accessories, feeder fish, fish food. If we don't stock what you want we will order it in. We also stock: Aquarium Books Stock Feed Grain Rural Supplies Ponds and Pumps Pet Accessories Pet food for dogs, cats, birds, guinea pigs, fancy rats and mice, ferrets, rabbits, hermit crabs, stick insects, pet spiders and more. Servicing area: IPSWICH | KARANA DOWNS | BROOKFIELD | KHOLO | BELLBOWRIE | RIVERVIEW | BASIN pOCKET | WARREGO HIGHWAY AREAS | BLACKSTONE | SILKSTONE | INDOOROOPILLY | GAILES | REDBANK PLAINS | BOOVAL | FLINDERS VIEW | YAMANTO | WOODEND | AMBERLEY & also these areas to north south east and west: Amberley Avoca Vale Banks Creek Barellan Point Bellhaven Benarkin Benarkin North Blackbutt Blackbutt North Blackbutt South Blacksoil Blackwall Borallon Cherry Creek Chuwar Colinton Deebing Heights Dundas England Creek Fairney View Fernvale Forest Glade Glamorgan Vale Googa Creek Goolman Haigslea Harlin Holts Hill Ironbark Karalee Karana Downs Karrabin Kholo Lake Manchester Lark Hill Linville Loamside Monsildale Moore Mount Binga Mount Crosby Mount Marrow Mount Stanley Muirlea Nukku Peak Crossing Pine Mountain Purga Ripley South Ripley Split Yard Creek Swanbank Taromeo Teelah Thagoona Vernor Walloon Wanora West Amberley Willowbank Wivenhoe Wivenhoe Pocket & southern, northern, eastern, western suburbs of BRISBANE. We catered for all of your pet needs. All fish care & needs. Bird supplies. Tanks, fish plants, medications, ornaments, tank maintenance, free tank testing & advice. Full Range of Pet Products. Specialising in pets, pet accessories and produce. Visit us in the big green shed at 399 Yaamba Road, North Rockhamton, Queensland. Huge range of birds, fish, axolotyls, and reptiles. For all of your pet and pet related products come and visit the Krazy Kritters crew or email us. We have a huge range of pets in store including puppies, kittens, rabbits, guinea pigs, chickens, birds, tropical fish, goldfish, cold water fish, native fish, cichlids, marine fish, aquarium snails, rats, mice, ferrets, hermit crabs and now reptiles and amphibians, as well as live food and aquarium plants. We also stock a full range of accessories for your pets. Cheap, quality fish. Specialty and rare fish can be ordered. Tanks at affordable prices. Open 7 days a week. The home of all your pets & pet needs. Large range of Native & Exotic Parrots & Finches. Huge range of Tropical & Goldfish. Rabbits, Mice, Rats, Puppies, & Much More. Coffs Harbour Pet Centre aims to deliver a service to all customers in a prompt, friendly and informed manner and offering advise on their purchase. Aquarium specialists, puppies & kittens, small animals and associated products. Friendly advice and service. Easy Parking. Aquarium accessories and fish food. LUCKY PETS & AQUA IS SMALL FRIENDLY STORE IN HAPPY VALLEY& STRATHALBYN - WITH A SUPPLIES FOR CATS, DOGS, AQUARIUM AND BIRDS. WE SELL RABBITS,GUINEA PIGS, FISH, TURTLES, FROGS AND BIRDS. YOU FIND THAT MOST OF THE TIME WE HAVE VERY CUTE PUPPIES - CAVOODLES, SPOODLES, POODLES OR MALTESE X SHITZU - GIVE US RING, WE CAN TELL YOU WHAT PUPPY, KITTEN OR HR TAME BIRDS WE HAVE THAT DAY - COULD BE THE ONE FOR YOU. COME AND VISIT, WE CARE! Fish And Feather is where you need to go if you want a bird, reptile, creepy crawly, fish, puppy, kitten, rodent, rabbit, guinea pig, ferret or frog. In fact, if you want to own it as a pet, we can help you. We even keep all the food, accessories and gear you'll need to make pet ownership a no hassle part of your life. At Sydney Discus World Aquariums, we specialise in supplying A-grade quality Discus, unique Ornamental Fish species, Planted Aquaria, Euro-style Aquarium Setups and mesmorising aquatopes to Sydney and rest of Australia. With our own Quarantine Facility, we are able to stock the highest quality and most sought after fish specifies from around the globe. Sydney Pets and Reptile World also operate out of our store. They sell a large range of Pet supplies and cages for Dogs, Cats, Birds, Small Animals and Reptiles. We are a pet shop that specialize in Aquariums, Fish, Dogs, Cats and Small Animals. We have cold water and tropical fish, aswell as some marine. goldfish, tropical fish, margate pet and aquarium, redcliffe pet shop, brisbane pet shop, pet shop in redcliffe, pet shop in margate, pet shop in brisbane. Specialising in aquarium fish. Coldwater ornamental fish. Tropical fish. African Cichlids, Goldfish, Fantails, Comets, Beta Fighting fish (fighters) Snails, Feeder Fish and more. Tanks and Accessories, Plants, Filters, Pumps, Stands, Heaters, Equipment, Fish foods & medications. Birds, Kittens, Puppies and all their food and accessories. Specialising in aquarium fish. Coldwater ornamental fish. Tropical fish. African Cichlids, Goldfish, Fantails, Comets, Beta Fighting fish (fighters) Snails, Feeder Fish and more. Tanks and Accessories, Plants, Filters, Pumps, Stands, Heaters, Equipment, Fish foods & medications. Birds, Kittens, Puppies and all their food and accessories. Everything from nose to tail. For all your pet needs, plus quality advice... "Petwise has the answer!" Brisbane's best range of pet food and pet health products. Free Petwise Club and advice kiosk. Large range of aquarium tanks & fish accessories. Everything from nose to tail. For all your pet needs, plus quality advice... "Petwise has the answer!" Brisbane's best range of pet food and pet health products. Free Petwise Club and advice kiosk. Large range of aquarium tanks & accessories. Busters Pet Supplies in Ballina, NSW, has all your pet supplies under one roof! From food to collars, bedding & flea and tick control we look after your pets every need! We offer a huge range of products designed to help you care keep your best friend clean, fed and happy! Busters Pet Supplies caters for dogs, cats, chickens, birds, rabbits & guinea pigs. We also stock horse, goat and pig feed. Dog grooming is available by appointment, and dog washing is available every Saturday. Aquariums, Bowls, Filters, Food, Heaters, Lighting, Maintenence, Medication, Ornaments, Plants, Air Pumps, Ponds, Pond Products, Misc Products. At Everything For Pets we have a wide range of pet products and accessories as well as PETS! PUPPIES, KITTENS, BIRDS, FISH, GUINEA PIGS, RABBITS, RATS & MICE. Live foods for reptiles. Foods and treats for all pets. Bring in your dog or cat for a complete grooming service including washing, grooming, clipping and attention to ears, eyes, and hygiene areas. Nails professionally clipped. WIDE RANGE OF FISH TANKS AND ACCESSORIES IS AVAILABLE! Come on in and check out our pets and products. Helpful service and expert advice for your pets. Happy Hermit Crabs : selection of med/large hermies available. Small, Medium & Large hermit crabs and assorted shells. Tanks, food, sand, crabitat accessories etc available. 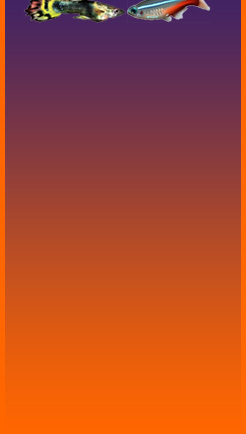 Heat Mats, heat rocks, backgrounds - as available! Starter kits available under $30 including tank, food, sand and decoration . Just add crab! Freshwater Fish is IN STORE! A small selection of comets, shubunkins, fantails and black moors are usually available for the convenience of pet shop customers along with Nutrifin and generic fish flakes and pellets. Turtle food (pellets) available - please enquire. Fish tanks and complete aquarium setups are for sale in the shop along with tank ornaments, turtle pellets, betta food, betta tanks (for Siamese fighting fish), water conditioner, PH balance gear, common fish treatments and aquarium accessories. It's a small section but we might have just what you need! A range of Reptile accessories are also available including Heat Mats and Heat Rocks. Come in and talk to us about your aquatic friends. We have over 20 years experience in the pet industry. Stocking the best premium fish food brands, and only the best aquarium products such as Wardley Range. Our staff are very knowledgeable on aquarium topics and are more than happy to assist your requirements. If you are looking for a great pet shop in Melbourne, come in and visit us! Pet Cafe, a pet shop without pets, caters for all those who wouldn’t be without their furry, feathered or finned best friends. With everything your beloved pet could need and a commitment of providing the highest quality nutrition for all animals, our mission statement says it all: The finest fresh food and all your pet needs. So call in and talk to one of our knowledgeable, trained owner operators and their staff for friendly free advice. We are the one-stop-shop for all your pond needs. We also stock large fish nets (ideal for catching Koi) and a full range of Sera Garden Pond fish food.We also stock a large range of internal, hang-on and external canister filters for your aquarium. Also, our large range of Goldfish makes us a one-stop-shop for all you Pond tank species! Check out http://www.sydneydiscusworld.com.au for our details. We take pleasure in getting that hard to find pet.